Is it time to rebrand? Businesses don’t find success by becoming unchanging, static entities. In order to keep competitive, small businesses must adapt to the evolving needs of their customers and society as a whole. Of course, this means more than just expanding your products and services. You also need to update the look and feel of your brand. Business trends – from web design to customer service – are constantly changing, and as a business owner, it’s up to you to keep up. Is your business overdue for a rebrand? Below, eight entrepreneurs offer their insight on when it's time to rebrand. You want to tap into a new demographic. One of the surest ways for an SMB to grow is to target its products and/or services to a new or expanded group of consumers. Of course, the brand will need to be refreshed to reflect the values and attributes of the new target audiences.For example, LuckyVitamin.com was reaching healthy moms and gym buffs, but having trouble tapping into the “natural living” audience base.To meet this new demographic, the company released a branded video emphasizing the company's health food roots and passion for health and happiness. A refreshed logo and redesigned website – with an emphasis in philanthropy, passion, and expertise – helped transition the company from a product site to a customer-centric brand. Your brand doesn’t fit your business. Our company decided to rebrand when our original company name, Smith & Surrency (our two partners’ last names), didn't capture the creative spirit or offerings of our agency. Whenever we told people the name, they assumed we were a law firm.The name seemed to make sense at the company's inception, but after rapid growth, we had outgrown it. As a team, we selected Digital Edge to encompass the digital marketing offerings we provide to clients. When customers see your brand differently than you do. McCrea’s Candies originally positioned itself as an everyday indulgence. But when owners Kate and Jason McCrea realized their caramels were being purchased for gifts, they decided to rebrand the packaging.The reaction from buyers was exactly what McCrea’s was looking for. Orders – and repeat orders – dramatically exceeded previous years. The redesign also facilitated a path for growth with new distribution channels.An entrepreneur might start out with a brand that reflects an initial idea or business concept, but it’s crucial to be alert and recognize the moment the market perceives it differently. You’re hanging on to a dying brand. When I took over my business from my father, I made the mistake of keeping all of the same branding that he'd established over 15 years ago. The business had been stagnant for a while, and we weren’t attracting new customers. Rebranding has helped the business feel fresh and find new audiences across social media and offline. We've invested in quality graphics and tried to establish an online voice to strengthen our brand even further. The results have been well worth the extra effort. You created a product people love, but you haven't built a brand that engages them. It's a common problem. So many entrepreneurs start with a quick logo and website to test their product on the market. When the product does well, they grow their business but fail to upgrade their branding.While the individual products might do well without mindful and consistent branding, they remain commodities subject to the whims and price fluctuations of the market, rather than a sought after brand. When they correct their branding, these businesses can start to charge premium prices and find customers not only returning, but also recommending them to family and friends. You’re no longer a part of the conversation. When you no longer find your business in the online comparisons or competitive roundups you once appeared in with your industry peers, a rebrand is an important thing to consider. If you start asking yourself if it's time to rebrand, listen to your gut – it’s time. Perhaps you're not happy with the direction you're moving, how your customers are reacting to your service, etc. A combination of factors go into determining whether you need a rebrand, but the first step is the feeling that you need one. You feel uninspired by your business. It’s time to rebrand when you feel like there isn't something new and exciting for your business on the horizon. Why did you start your business in the first place? Because you had an idea and were inspired! When you lose that feeling, you need to step back, reevaluate, and look at your business from the perspective of your customers. 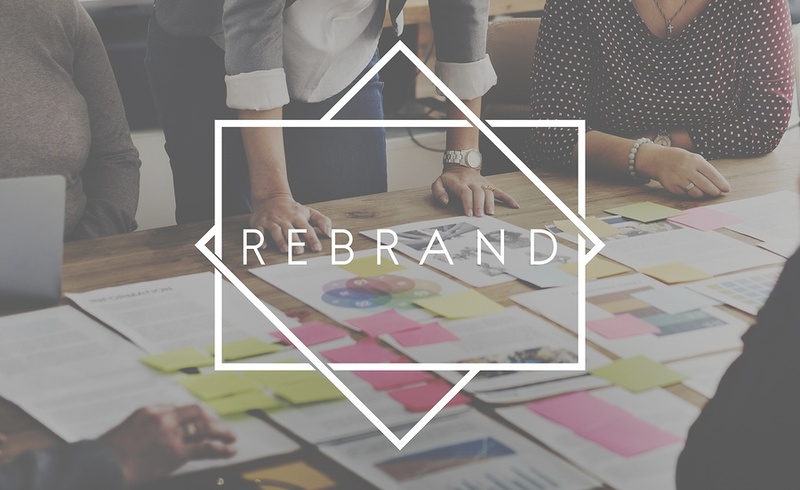 If you’re losing momentum with your business, whether in sales, customer satisfaction, or growth, you may want to consider a rebrand. If you’re experiencing any of the eight warning signs above, but don’t know where to begin with rebranding, a business consulting program can help. The Alternative Board’s peer advisory program puts you in a room with other business owners who can help you overcome your business’s greatest challenges – like outdated branding. Get in touch with a local board to learn more.